Match ends, VfB Stuttgart 0, Bayer 04 Leverkusen 1. Second Half ends, VfB Stuttgart 0, Bayer 04 Leverkusen 1. Corner, VfB Stuttgart. Conceded by Mitchell Weiser. Andreas Beck (VfB Stuttgart) wins a free kick on the right wing. Attempt missed. Kai Havertz (Bayer 04 Leverkusen) right footed shot from the right side of the box misses to the left. Assisted by Julian Brandt following a fast break. Andreas Beck (VfB Stuttgart) wins a free kick in the defensive half. Hand ball by Anastasios Donis (VfB Stuttgart). Santiago Ascacibar (VfB Stuttgart) is shown the red card. Corner, VfB Stuttgart. Conceded by Jonathan Tah. Erik Thommy (VfB Stuttgart) wins a free kick on the left wing. Attempt blocked. Charles Aránguiz (Bayer 04 Leverkusen) right footed shot from the centre of the box is blocked. Attempt missed. Kai Havertz (Bayer 04 Leverkusen) left footed shot from the centre of the box misses to the left. Assisted by Charles Aránguiz. Attempt missed. Lucas Alario (Bayer 04 Leverkusen) header from the centre of the box is just a bit too high. Assisted by Charles Aránguiz. Corner, Bayer 04 Leverkusen. Conceded by Ron-Robert Zieler. Substitution, VfB Stuttgart. Mario Gomez replaces Steven Zuber. Mitchell Weiser (Bayer 04 Leverkusen) wins a free kick on the right wing. Foul by Marc-Oliver Kempf (VfB Stuttgart). Offside, VfB Stuttgart. Gonzalo Castro tries a through ball, but Erik Thommy is caught offside. Attempt saved. 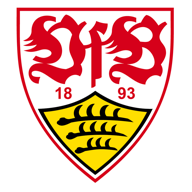 Ozan Kabak (VfB Stuttgart) right footed shot from outside the box is saved in the centre of the goal. Assisted by Gonzalo Castro. Attempt missed. Gonzalo Castro (VfB Stuttgart) right footed shot from outside the box misses to the left. Assisted by Erik Thommy. Marc-Oliver Kempf (VfB Stuttgart) wins a free kick in the defensive half. Attempt blocked. Steven Zuber (VfB Stuttgart) right footed shot from outside the box is blocked. Assisted by Anastasios Donis. Erik Thommy (VfB Stuttgart) wins a free kick in the defensive half. Attempt missed. Andreas Beck (VfB Stuttgart) left footed shot from outside the box is high and wide to the left. Attempt missed. Leon Bailey (Bayer 04 Leverkusen) left footed shot from outside the box is just a bit too high from a direct free kick. Foul by Gonzalo Castro (VfB Stuttgart). Attempt saved. Kevin Volland (Bayer 04 Leverkusen) left footed shot from the right side of the box is saved in the centre of the goal. Assisted by Julian Brandt. Substitution, VfB Stuttgart. Anastasios Donis replaces Nicolás González. Offside, Bayer 04 Leverkusen. Jonathan Tah tries a through ball, but Kevin Volland is caught offside. Attempt saved. Steven Zuber (VfB Stuttgart) header from the left side of the box is saved in the centre of the goal. Assisted by Alexander Esswein with a cross. Substitution, VfB Stuttgart. Erik Thommy replaces Daniel Didavi. Attempt missed. Leon Bailey (Bayer 04 Leverkusen) left footed shot from a difficult angle and long range on the right is too high from a direct free kick. Hand ball by Steven Zuber (VfB Stuttgart). Foul by Nicolás González (VfB Stuttgart). Goal! VfB Stuttgart 0, Bayer 04 Leverkusen 1. Kai Havertz (Bayer 04 Leverkusen) converts the penalty with a left footed shot to the bottom right corner. Penalty conceded by Gonzalo Castro (VfB Stuttgart) after a foul in the penalty area. Foul by Steven Zuber (VfB Stuttgart). Corner, VfB Stuttgart. Conceded by Lukás Hrádecky. Nicolás González (VfB Stuttgart) wins a free kick in the attacking half. Offside, VfB Stuttgart. Steven Zuber tries a through ball, but Alexander Esswein is caught offside. Attempt blocked. Steven Zuber (VfB Stuttgart) right footed shot from outside the box is blocked. Assisted by Daniel Didavi. Offside, VfB Stuttgart. Ozan Kabak tries a through ball, but Daniel Didavi is caught offside. Foul by Charles Aránguiz (Bayer 04 Leverkusen). Gonzalo Castro (VfB Stuttgart) wins a free kick in the defensive half. Foul by Ozan Kabak (VfB Stuttgart). Attempt missed. Kevin Volland (Bayer 04 Leverkusen) header from the centre of the box is close, but misses to the right. Assisted by Charles Aránguiz with a cross. Attempt missed. Julian Brandt (Bayer 04 Leverkusen) right footed shot from the centre of the box is high and wide to the left. Assisted by Kai Havertz with a cross. Offside, VfB Stuttgart. Nicolás González tries a through ball, but Alexander Esswein is caught offside. Jonathan Tah (Bayer 04 Leverkusen) wins a free kick in the defensive half. Second Half begins VfB Stuttgart 0, Bayer 04 Leverkusen 0. First Half ends, VfB Stuttgart 0, Bayer 04 Leverkusen 0. Attempt saved. Kevin Volland (Bayer 04 Leverkusen) left footed shot from the centre of the box is saved in the top centre of the goal. Assisted by Jonathan Tah with a headed pass. Corner, Bayer 04 Leverkusen. Conceded by Benjamin Pavard. Attempt saved. Daniel Didavi (VfB Stuttgart) left footed shot from outside the box is saved in the centre of the goal. Assisted by Ron-Robert Zieler. Corner, Bayer 04 Leverkusen. Conceded by Ozan Kabak. Andreas Beck (VfB Stuttgart) is shown the yellow card for a bad foul. Wendell (Bayer 04 Leverkusen) wins a free kick on the left wing. Foul by Andreas Beck (VfB Stuttgart). Attempt saved. Daniel Didavi (VfB Stuttgart) left footed shot from outside the box is saved in the centre of the goal. Attempt missed. Kai Havertz (Bayer 04 Leverkusen) left footed shot from the centre of the box is close, but misses to the left. Assisted by Julian Brandt. Attempt saved. Kevin Volland (Bayer 04 Leverkusen) right footed shot from the centre of the box is saved in the bottom left corner. Attempt blocked. Leon Bailey (Bayer 04 Leverkusen) left footed shot from outside the box is blocked. Assisted by Julian Brandt. Corner, Bayer 04 Leverkusen. Conceded by Daniel Didavi. Corner, VfB Stuttgart. Conceded by Julian Baumgartlinger. Attempt blocked. Steven Zuber (VfB Stuttgart) left footed shot from outside the box is blocked. Attempt missed. Steven Zuber (VfB Stuttgart) right footed shot from outside the box is high and wide to the right. Assisted by Nicolás González. Foul by Daniel Didavi (VfB Stuttgart). Attempt missed. Kai Havertz (Bayer 04 Leverkusen) left footed shot from the right side of the box is close, but misses to the right. Assisted by Mitchell Weiser. Hand ball by Ozan Kabak (VfB Stuttgart). Attempt missed. Julian Brandt (Bayer 04 Leverkusen) right footed shot from a difficult angle on the right is close, but misses to the right. Assisted by Kai Havertz. Kai Havertz (Bayer 04 Leverkusen) wins a free kick in the attacking half. Offside, VfB Stuttgart. Ron-Robert Zieler tries a through ball, but Alexander Esswein is caught offside. Dangerous play by Julian Brandt (Bayer 04 Leverkusen). Gonzalo Castro (VfB Stuttgart) wins a free kick in the attacking half. Attempt missed. Ozan Kabak (VfB Stuttgart) right footed shot from the centre of the box is high and wide to the right. Assisted by Steven Zuber with a headed pass following a corner. Attempt saved. Alexander Esswein (VfB Stuttgart) right footed shot from the right side of the box is saved in the bottom right corner. Assisted by Daniel Didavi with a through ball. Attempt missed. 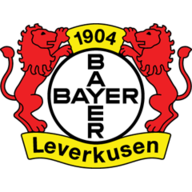 Leon Bailey (Bayer 04 Leverkusen) left footed shot from the left side of the box misses to the left. Assisted by Jonathan Tah. Steven Zuber (VfB Stuttgart) wins a free kick in the defensive half. Hand ball by Kai Havertz (Bayer 04 Leverkusen). Corner, VfB Stuttgart. Conceded by Wendell. Gonzalo Castro (VfB Stuttgart) wins a free kick on the right wing.